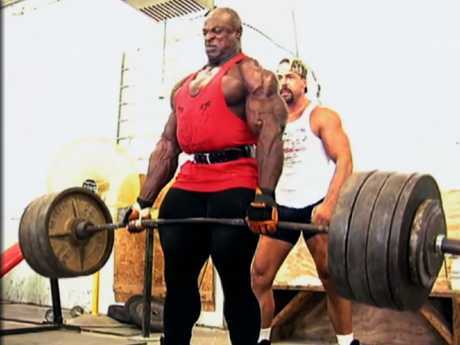 The record eight Mr Olympia titles he won as the world’s best bodybuilder. The 800-pound squat he famously repped twice. The insane measurements of his chest (150cm) and arms (61cm). There’s dead lifts — and there’s dead lifts. “Ronnie just had it all,” two-time Mr Olympia Jay Cutler said. “He was bigger than everyone. He was more conditioned than everyone. And he just didn’t give a s***. He stood up on that stage and was just like ‘I’m here, give me my (title) and I’m leaving with it’. It’s Coleman’s eighth surgery that is documented in the film. 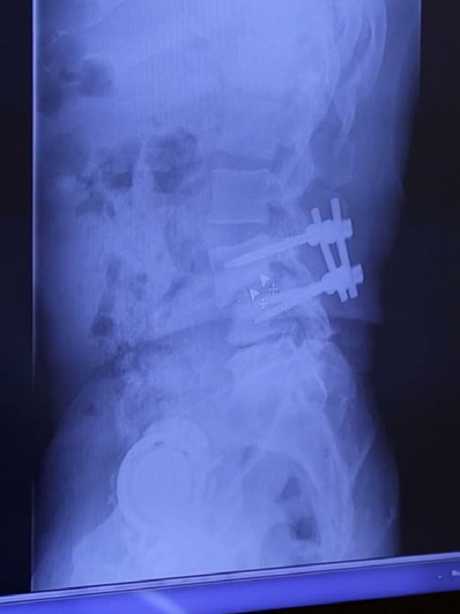 At this point he’d had so many operations surgeons are forced to cut through the front of his body – temporarily removing his intestines – because there’s so much scar tissue in his back. 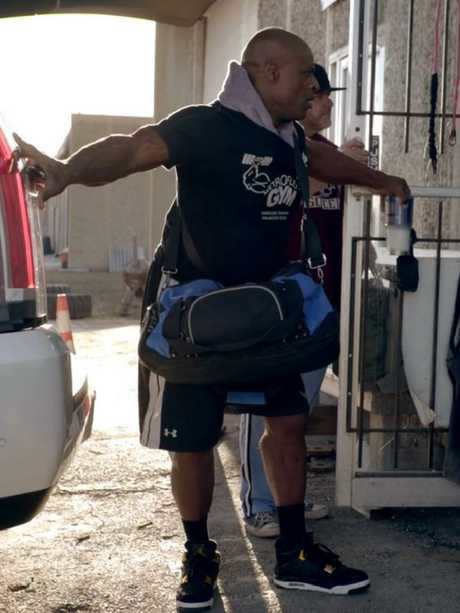 The documentary makes it clear Coleman is responsible for the state he’s in today but footage of the gym he’s trained in for 30 years showcases a dusty, outdated sweat shop. But Coleman insists it was responsible for his success. “You get used to a certain thing and you don’t want to change. Because that’s what’s worked for you,” he says. “Two days after surgery and it’s a miracle that I can walk,” he wrote. “Normally I’m on my way to rehab so they can help me to learn to walk again. This is the best I’ve felt after my last three surgeries. God is truly blessing me this time around because he knows that I definitely need the inspiration because lately I’ve been semi-depressed after all my surgeries. Coleman’s veins pulse through his tights in his prime.